Real EMP effects on vehicles? Survival Supplies: What do refugees need? Corrupt dictators rarely do well but the case of Venezuela sure is an extreme one. 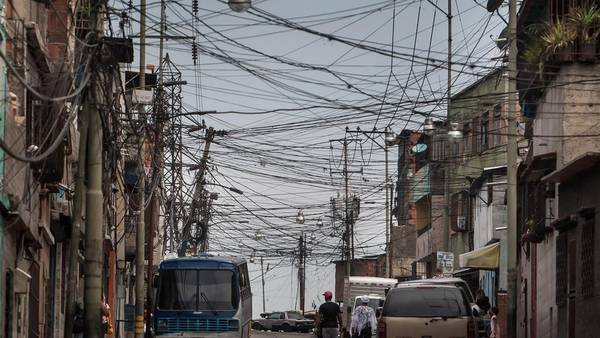 Basically nothing works in Venezuela. Due to high levels of corruption and considerable stupidity by the thugs currently running the country, even basic services have become true luxuries over there. The government took over most aspects of the country’s economy and managed to ruin even the most resilient industries. There’s no fresh milk and fresh produce are extremely hard to come by. People have to wait in line for hours to get basic staples at supermarkets. The rolling blackouts are becoming more common, lasting now 4 hours a day instead of periods of two. Due to the energy crisis, public non essential civil servants will work just two days a week. The mandatory leave used to be imposed on Fridays. There’s no school on Fridays as well. 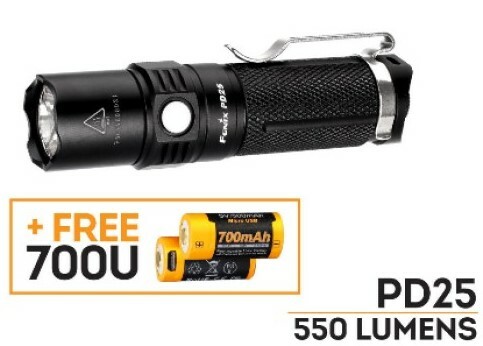 Survival Tip: Which parts are “spared” from the blackouts? The fancy part in downtown Caracas (the capital) where most government offices are and where there’s the most tourism. As always, when a country suffers, its protects its own nucleus. A bit disappointed with my Merrells (interior fabric broke in less than 6 months) but I have high hopes for my new Salomon Quest 4D Forces. Reviews are excellent, it’s often mentioned as one of the best choices in light hiking boots, usually along with Asolo Fugitive and Lowa Renegade II.The Quest are very comfortable, provide excellent support and although I haven’t used them nearly enough all reviews mention how durable they are. What’s survival footwear by the way? Think of it this way: If your car breaks down and you have to walk a few miles back home. If there’s a disaster and there’s debris and broken glass to navigate through in your usually nice sidewalks, if you have no choice but to walk across uneven terrain or along paths and muddy trails to reach safety, if you have to stick with whatever’s on your feet right now for a few days or a few months. What would you rather have? If you think of it this way, you’ll be selecting what you wear with a different perspective and making the best of whatever dress code you have to work around. Most survivalists have a problem with keeping things real. Too often they let fantasy get in the way and at times it isn’t that easy to tell fantasy from fiction. EMP threat would be a good example. Elector magnetic pulses do occur, they are very much real and they do cause serious problems. But if you ask preppers and survivalists what would happen if a nuclear device was detonated above North America many of them would reply with significant confidence that most electronic devices would be affected by it and that cars would immediately stop running unless they were several decades old and didn’t have computers on board. Since pretty much everything has a computer in it these days, everything from cellphones to cars would stop working and we would be going back to the stone age overnight. Well, as common as this belief is, its far from accurate. The following link explains actual tests of how EMP affects both running and non-running vehicles. 1)All cars that weren’t running when hit by the EMP were not affected and ran when turned on. 2)Only 3 out of 37 vehicles hit with EMP stopped running. 3)About one car in twenty may expect damage that requires a mechanic for repairs. Two out of the three cars that stopped running due to thee EMP would run normally once turned on again. I read the portion of your site devoted to the Rolex watch and the supposed value of the watch. For the last so many decades I have been dealing in vintage watches. Couple of points. It’s a ladies watch and ladies watches are much less in demand on the resale market than men’s watches are. Also, there is no set price for vintage watches. It’s kind of what you can get. It’s not the stock market where the prices are posted for anyone to see. Also, Rolex are a mass produced watch. Replicas are very good and not many people can spot the difference unless they have some experience in the field. Best thing to have for emergency is gold. Bullion gold. Such as Maple Leaf coins or some other 999+ gold coin. Also, one should buy bullion gold coins in a minimum of 1/4 ounce size. Smaller than that there is a premium that the buyer never never gets back when they sell to a dealer. Gold, as you well know is a publicly traded commodity with published, both print and on the net, prices for buying and selling. Preppers are a funny bunch. Lot of silly ideas and full of conspiracies and fantasies about how they will cope/live in a difficult environment that they foresee coming our way. They may be right about the future but I suspect few of them are prepared. Btw, I have purchased your book and read it at least twice. Be smart and lucky amigo. Thanks James, you bring up some excellent points. As I said before it all comes down to how much you’re paying for it. There’s always a price. A buying price. A selling price (which usually offends those on the other side of the counter when they are the ones doing the selling) and there’s a price just too good to walk away from. I would be very cautious about buying anything I don’t know well, for example in my case watches. I have a pretty good idea of what guns cost. I know a Colt Single Action Army has a certain value that no gunstore will refuse to pay for given the possible resale value, so I have a pretty good idea of what the “too good” price is. As you say though, it is better if you have a fixed, unbiased price for the specific item so that’s why gold and silver are so appealing. There’s no debate regarding their given price each day. Then again, there’s even less of a debate when it comes to a wad of cash. A couple thousand dollars in 100 USd bills is still pretty compact, and you don’t need to sell it fist to use it as you would with gold or silver. This is why the first savings you put aside for a rainy day, those should be hard cash. “But cash is useless during an economic collapse”. No, no its not. Especially during the first few days and weeks, it may lose its value but it does so slowly. At the same time the shortage of cash, in spite of the economic collapse, creates an environment where cash is king. During this first period of time, cash gives you leverage even if it loses value. In the case of a strong currency like the USD, its even less likely that it will become worthless or lose significant value overnight. Then yes, if you want to put aside something “economic collapse proof”, that’s when you go into precious metals. So I had my diesel Honda CR-V for a couple months now. After a few days of getting used to it, I can say I now love the thing. 1)Stupid amounts of torque. 251 lb-ft, which is 90 lb-ft more than the gasoline version of the CR-V. On 1st gear, without touching the gas pedal (sorry, diesel pedal) it crawls up a steep hill on its own. It also has much better towing capacity in case you want to bring more stuff along with you. For the kind of off road capability you may be looking for in a BOV, where you want to crawl slowly but steadily through off road terrain, and then get yourself on better roads as soon as you can, diesel works great. 2)Cheap to drive. Diesel is itself cheaper than gasoline and it's more efficient when it comes to MPG. I haven’t done the math but savings of about 30 to 40% are about right. 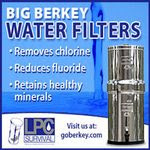 3)Much safer fuel, both during car accidents and storage. Its not flammable like gasoline. An ignited match thrown into a glass of diesel gets extinguished while gasoline blows up. For someone into survivalism it is much safer to store diesel than gasoline. Diesel fuel does not evaporate as easily as gasoline, so it is much safer in accidents too. 4)Diesel lasts much longer than gasoline when stored. You don’t need to rotate your fuel storage nearly as often. 5)Diesel engines are more rugged, reliable and have a longer lifespan. 6)More range. Given how efficient diesel is it can go more miles per gallon. During an emergency this is a key aspect sometimes overlooked in favour of offroad capability and engine size. When all you have to work with is whatever is left in your fuel tank, MPG matters a great deal. 7)No more sparkplugs. Sure, you have glowplugs instead, but those last much longer and are less likely to have issues. 8)Diesel smells better. I at least like it better although I guess its personal taste. 9)Fuel options during SHTF. Around here every gas station that has gas has diesel as well one right next to the other, but beyond that there’s a number of other options as well if you have to get creative, from mixing it with a bit of vegetable oil to white spirits, using kerosene or heating oil. You don’t want to do this often and you sure have to check before trying how much you can push the limits with each specific diesel engine, but it sure is more tolerant than gasoline ones. Navy, Army, Marines and NATO allies, they all use diesel (JP-8). You can use commercial aviation Jet A-1 fuel in your diesel. Tanks? Yes, diesel as well. 10)Turbodiesel. Ahh! It’s nice to hear the engine road when you step on the gas, but hearing the soft whistling sound made by the turbocharger when driving is freaking awesome. 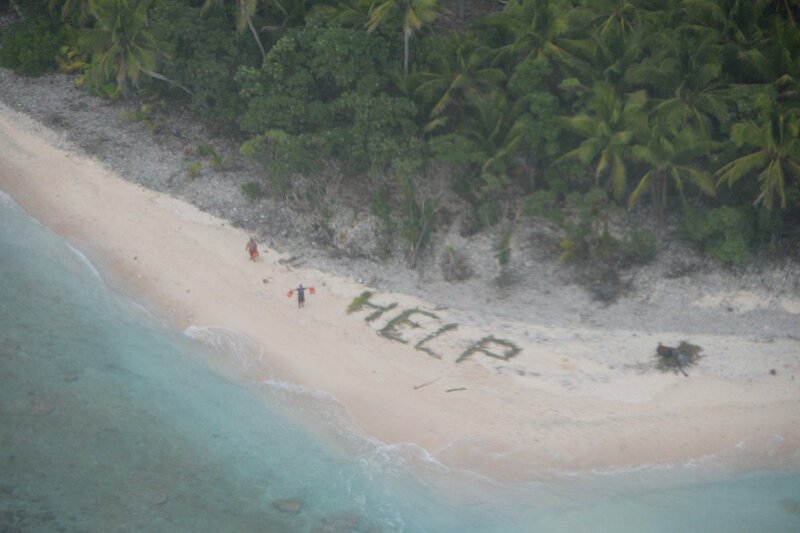 Three men were rescued from the tiny Pacific Island of Fanadik by a U.S. Navy plane that had spotted their H-E-L-P sign. Do you know your signals? Try remembering at least these two. “V” means you require assistance. Maybe more noticeable from the air is the international “SOS”. It’s also easier and requires less material than writing “HELP”. Most people know what SOS means (save our souls) and is less likely to be overlooked or confused with random debris than “V”. Also, try remembering the arrow signal. This can be very important if you decide to move away from the area so that search and rescue teams know the direction you took. One final tip. During night time, a triangle of three fires is an international distress signal. This can done with three fires with about 100 feet between them, maybe using three flares or flashlights. (The following post has been contributed by Greekman. Thanks for the information shared! The point of studying the needed items is that the refugee situation in Greece is very alike an earthquake –or any large scale disaster- leaving thousands of people helpless. It also speaks of the Greek state organization and preparedness level, but this isanother subject. Baby food, Diapers, Strollers, Baby bottles, Feeding Bottle Sterilizer, Toys and Balls, Baby Clothes and Shoes. Hygiene items were also asked. No need to mention anything specific, they need everything, but of note was that some asked for empty soap dispensers. Comment: That makes the point of being able to setup a number of faucets on a 6-foot length of pipeline. 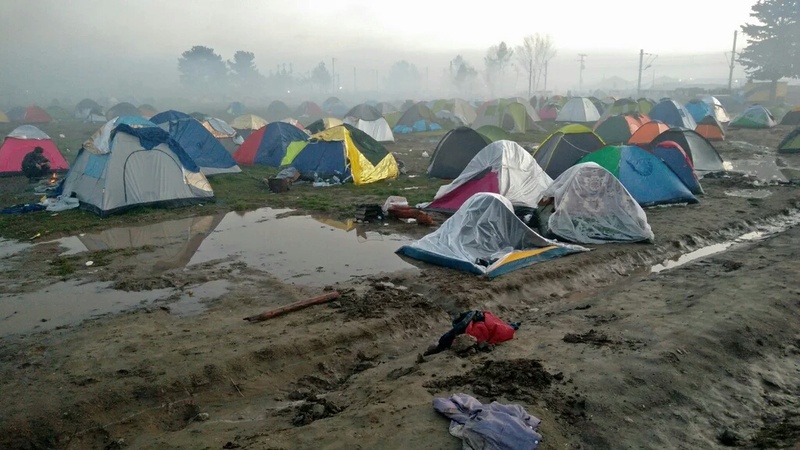 Among what the refugees were assign for was to take a bath to feel decent. The same need for everything applies to Shelter and Bedding items, and one-use eating utensils. Regarding Blankets the Ngo were providing them with one and told them to keep them for the duration of their travel. Condensed/Evaporated Milk, Sugar & Crackers, Snacks, Tea, Raisins, Cookies, Rusks, Nuts, Honey, Jams, and Tomato Paste. Comment: I guess their large supplies were of basic staple foods with not much of the rest, especially breakfast items. Then there are some noteworthy items either often required or were unexpected to see. Cell Chargers and Extension cords. The refugees also looked for free Wifi Access to connect home and browse for info. Comment: While a lot of facebook pages and less often blogs were set up for the collection of items. I haven’t yet heard of any blog dedicated to the refugees needs and information. I think it would be a good idea for a relief/volunteer team to prepare a blog ahead of time and fill it with info and links to reliable sources on the ground. Lastly, and believe it or not, the refugees would benefit from some basic survival and bushcrafting instruction by knowledgeable people on the spot. Amassed on farm fields in Idomeni, their tents would get full of water when it rained since no one knew that they would have to make a draining ditch. The medicine list is a good guide for those that want to keep a stock o emergency/disaster/preparedness medications at home. Thanks Greekman. At the end of the day its people that have nothing and well, its pretty much the same thing everywhere. After years of studying disasters and unfortunately having seen more than enough first hand, I can say its not people that are different but it’s their circumstances that dictate certain differences. Other than that, everyone needs the same things. For example, no matter where in the world disaster strikes leaving thousands with nothing, they are all looking for: A home, or at least a safe dry and warm place to rest. Clean clothes, diapers, food for adults, babies and children, toiletries, sanitation supplies, diapers, medicine. Then you have location specific items, like warm clothes for cold climates, sunscreen or mosquito repellent. Most of all, poor and displaced people have something in common: They are both looking for JOBS. Whats your experience with rolex watch? Will it hold value in SHTF? Decrease, increase? If I remember correctly, you mention in your first book, but I am traveling and do not have it with me to look up what you said about it. I have some savings which I am using to purchase precious metal coins. However, in one of the shops, I came across a (genuine) 18k gold ladies oyster perpetual president made in the early 80's for US $3,800 and it got me to thinking. 1) It is my understanding is that I could walk into any major city in the world and be able to convert it easily into cash. In your experience, would that be accurate? I am always on the go---traveling somewhere---both around the US and international. I like the concept of a rolex because its subtle. It is seen as a personal item and would never get counted towards the $10K cash limit. Since it is an older model, if anyone ever asks about it, I will say it belonged to my grandmother and was passed down to me. We have problems now in the US with police officers confiscating (stealing) your cash and monetary instruments claiming its suspicious for "drugs" even if you have committed no crime and have never touched a single drug in your life. As opposed to bullion, it is highly unlikely that a rolex worn on your wrist would ever be confiscated by police or customs. 2) The scrap value of the gold in the watch is only about US $1200 compared to its asking price of $3,800. In terms of holding its value, is it better to stick to bullion coins? Or would it be reasonable to expect that a genuine gold Rolex would hold/increase its value in bad times? 3) I am a single female and usually solo. How much danger am I putting myself in by having and wearing a gold rolex? I am automatically on "yellow" alert whenever in public, and practice situational awareness at a level much higher than most. For the time being, I'm sticking to "1st world" countries, although who knows? That could change. I have done a lot of internet research about this model of watch and the price. Retail price for the same or similar watch in the US right now is between $7,000-$12,000. This caused me to be suspicious of the seller, so I went back and examined the watch closely with gem magnifier, and it is definitely authentic. I asked the shop owner why this piece is priced so low. He said that most of the merchandise are things he purchased and re-sells. But that this particular piece he is doing on consignment for a friend and she needs the $$. He said that here in Canada (quebec), there just aren't many buyers for rolex because Canadians don't have money like Americans do. And that most of his rolex customers are actually Americans who come over the border to make purchases. Thank you so much for everything you do! Love your stuff, and Im just bummed that I didnt bring your book with me! In most countries that I’ve been to form USA to Argentina and here in Europe, the advertising seems to be the same: “We buy your gold, silver, diamonds and Rolex”. You have to keep it mind though that the selling price is nothing like the buying price. In general you are lucky to get half of what a potential customer is willing to pay once the dealer flips the watch. Now if you can get it yourself for such a low price then you could probably sell it elsewhere without losing money or maybe even making some on top. In general yes, Rolex do hold their value pretty well, same as quality jewellery. The trick is knowing your trade, knowing how to avoid counterfeit items, and of course avoiding the ridiculously low offers you come across sometimes and sticking to serious people. I was talking with a jeweller today and he was showing me how to grade diamonds, which imperfections are acceptable and which are not. Its all very interesting stuff. Again, the selling price is often not as good as the buying one so you do lose some, but Rolex watches hold on nicely. The nice thing about bullion is that market price is fixed so there’s less room for excuses. Try talking with the shop owner. Ask him, honestly, how much would be pay for a similar item if he was buying so as to get a reasonable profit margin himself. That will give you somewhat of an idea of how much you can get for it. 1)Yes, in most city centers around the world you will be able to sell your Rolex for good money. Some dealers may haggle worse than others but you will walk out with a wad of cash. The trick is buying a quality item, paying as little for it as possible and then asking around to get a good deal when it’s time to sell. 2)For protecting money, I think precious metals is the way to go because as I said before, it has a given market price and there isn’t much to debate about. Pure gold is just that. Watches, antiques and even numismatic coins have a certain value as well and they may well be good investments and ways of moving around a lot of cash. I doubt the average TSA agent knows what a Mercury Dime 1916 D is, but the thing is worth $135,000 in MS67 condition. Having said that, its not as reliable in terms of knowing the specific price as checking the daily given value of gold and silver. The same coin can be worth $100, or $100.000 depending on its grade, and the difference between Fine condition or Very Fine condition can be hard to tell. Even experts may have a difference of opinion. This kind of problem doesn’t exist with precious metals. 3)I would say the risk is pretty high. 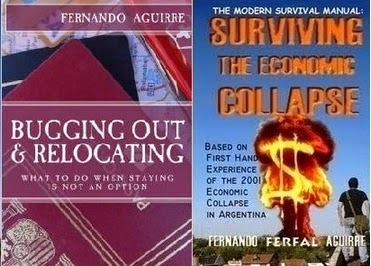 In a place like Argentina its downright suicidal. I’m not exactly a “soft target”, yet for some time I stopped wearing my gold wedding ring, replaced it for a silver one like lots of other people did back in the day. Now in first world countries this may not be that much of a problem. In most European capitals and large cities you see women with very expensive jewellery. Still, I would say a gold Rolex is pretty noticeable and pretty tempting. In moderate to high crime areas I would keep it out of sight. If you just want to keep it with you then it would just be a matter of being careful and when you know you are in more troubled areas just put it in your purse. Just a few days ago this happened in down town Buenos Aires. After attempting to rob a man that had just left the bank with a significant amount of cash, two criminals take off in a motorcycle as the man draws a Glock and shoots five or six times, killing an innocent bystander, a locksmith that was just walking by. Laws change from one country to another, even from one state to another. Keeping that in mind, it is still safe to say that in most jurisdictions its practically impossible to claim self-defense when shooting someone clearly escaping from you. Again, different laws, but in general you don’t want to shoot a bad guy in the back as he moves away from you. Elemental rule of firearms safety: Know your backstop. A gunfight is a very dynamic situation, but still you should maintain a level of self-control and avoid opening fire in areas full of innocent bystanders in the line of fire. This incident happened in the financial district of Buenos Aires. Notice how just seconds after dropping practically dead everyone just keeps walking around him as if a dead guy on the sidewalk was the most normal thing in the world. The normalcy bias is a strong psychological safety mechanism. Today there are cameras everywhere, even without them shootings leave plenty of evidence around, from ballistics to blood splatter patterns, it is fairly easy to tell who got shot in what circumstance. Many of the bystanders attempted to do the right thing in this type of situation: When you hear gunfire, take cover! The two on top drop to one knee or lower their bodies although it would have been much better to go prone, the one on the right attempts to get behind the wall of a building entrance, but fails to do so fully which would have been much better. Oh, and one more thing. It is estimated that half the motorcycles in the down town area with two people are driven by criminals. There’s even been laws proposing to ban more than one person in them in the capital.